I'm writing about conferences and integration updates. At Codeship I'm responsible for Event Marketing and Customer Happiness. The key to staying on top of your applications is to monitor them. For a little bit of extra monitoring help, Codeship users can easily notify New Relic about each deployment to an application with the following script. This allows users to analyze the correlation between their code releases and the performance of their application. # (Defaults are: description = CI_MESSAGE, revision = CI_COMMIT_ID, and an empty changelog). Click here to get to the script. As a prerequisite, install the New Relic Agent on the server that hosts the application. You’ll need to restart the application as well. New Relic will highlight deployments on the Overview page by inserting a pointer in the time line. As you can see in the screenshot below, each vertical black line indicates a deployment. We’ve also highlighted the annotations to show where each environment variable is visible on the Overview page. New Relic is a software analytics company that makes sense of billions of metrics across millions of apps. Their goal is to help people who build modern software understand the stories that their data is trying to tell them. Let us know in the comments if you like more scripts like this one and which one you would like to see next. 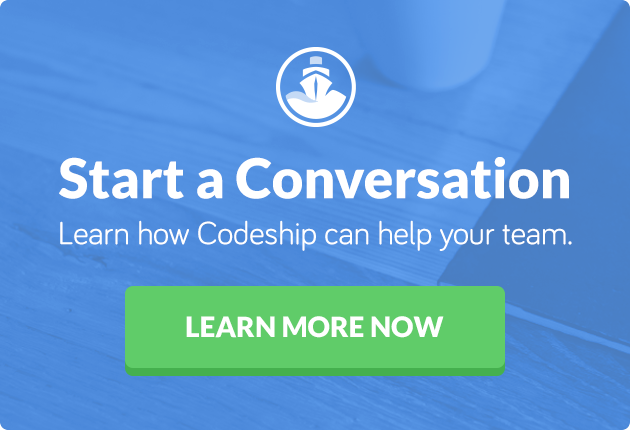 Measure the impact of your releases with @newrelic and @Codeship.